Continuing to make serious waves across the global music industry, Lucky Charmes exciting, new, groovy house sound has made its imprint in the scene, with a number of productions cooking in the studio and a tour schedule heating up across various international hot spots. Already holding a pivitol place in the Dutch dance circuit, he gets ready to fulfill his worldwide ambitions. With a love and passion for DJ-ing resonating in his teachings as a certified trainer at the Pioneer DJ School, his status as a Pioneer Ambassador has involved sharing his unique skills behind the decks with fresh, rising talent. You can put this multi-faced DJ/Producer behind any turntable and he will express what music is all about. With recent releases such as Bobotie, receiving support from artists such as Major Lazor, Oliver Heldens, Fatboy Slim and W&W, as well as Ready ft Da Professor and securing plays from the likes of Martin Garrix, David Guetta and Dimitri Vegas & Like Mike, the status of artists showing their support has proved his relevance as a forwarded artist. According to a recent interview in Billboard, Lucky Charmes was labeled as an open-minded artist presenting the next big thing in music by the legendary Ti보o. 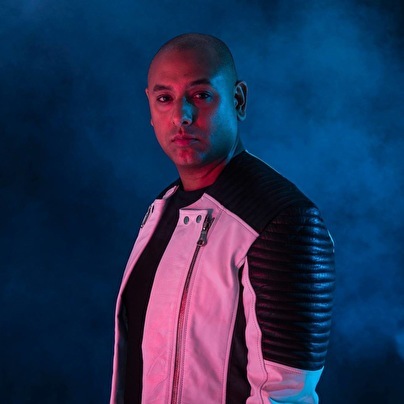 His history of other releases spans an array of some of the worlds elite imprints such as Spinnin Records, Mixmash Records, Cr2 Records, Sony Music, Universal Music, Blackhole Recordings, Dirty Dutch Music, Samsobeats, Vicious Music and ofcourse his own label +31 Music. With Skank Lucky Charmes created a true mystery. The track circulated on BBC-radio for weeks, without anyone knowing who produced it. Heavyweights like oa. Calvin Harris, Diplo and Fedde le Grand where already showing their support for the track while the artist was still unknown. Meanwhile Skank achieved over 3,5 million streams on Spotify. With 4 top 10 Beatport tracks already under his belt, his journey has been catapulted with another string of expertly crafted releases, including 2016s Back 2 The Basics EP, available as a free download via Spinnin Premium for two weeks, has caught the ears of industry titans. Another release highlight was Fulfill, dominating Spotify with close to 3 million plays as well as play behind the ones and twos from Taio Cruz, Knife Party and Bassjackers. Throughout the years he has impressive support from colleagues in the industry and the word of his performances has spread to an array of well-known venues. With a recent armoury of tour dates including visits to Hï (Ibiza), Ushuaïa (Ibiza) Tomorrowland (Belgium), Summer Festival (Antwerp), as well as a special back 2 back set with the legend himself Ti보o @ LIV, Miami, his impressive tour pedigree has continued to reach new heights over the years and even made him receive a personal invitation of Martin Garrix for the opening of the season at Ushua Ibiza. Deel elf alweer in de Nope is Dope reeks, ditmaal gemixt door Lucien Foort en Lucky Charmes. Kunnen deze twee heren de serie weer uit het slop halen? Super producer met een eigen stijl!